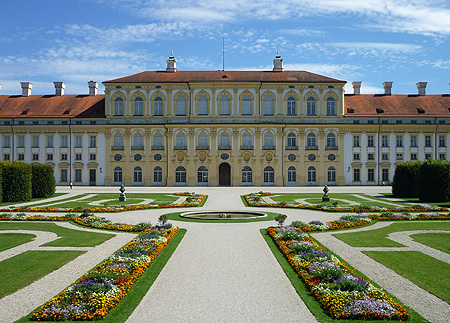 The New Palace was begun under Max Emanuel in 1701-1704 from designs by Henrico Zuccalli and completed from 1719 by Joseph Effner. Of the originally planned, monumental complex consisting of four wings, only the main wing was completed. 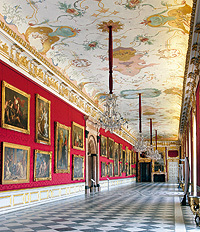 The result is nevertheless an outstandingly beautiful Baroque palace. The magnificent interior decoration was the work of well-known artists such as Johann Baptist Zimmermann, Cosmas Damian Asam and Jacopo Amigoni. 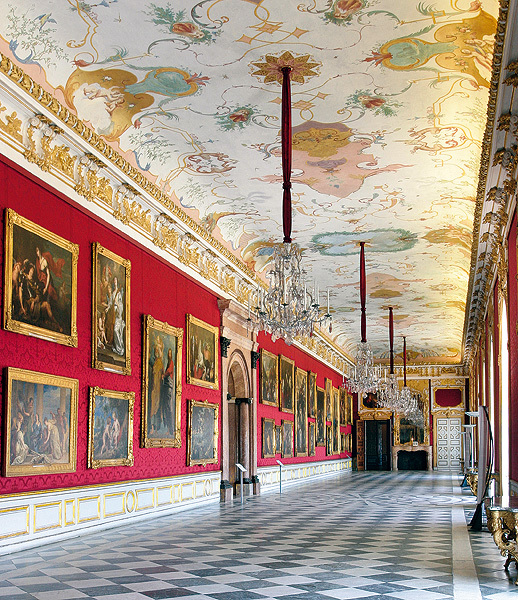 The Gallery Rooms contain masterpieces from the european baroque era. The baroque court garden, laid out by Dominique Girard and others, is still largely in its original form. St Maximilian's Chapel is suitable for concerts, religious services and weddings up to 75 persons. The Great Hall is suitable for concerts, ceremonies etc. up to 432 persons. The sala terrena is suitable for receptions and banquets up to 700 persons. The dining hall is suitable for civil weddings and small concerts up to 120 persons.